I imagine Santa Claus is finalizing his lists of who was good and who was bad this year, and since I'm Real Housewives obsessed, it got me thinking: I wonder which Real Housewives would be on Santa's nice list and who would be on his naughty list. For the most part, that seems pretty obvious, but it is still funny to think about. There some ladies who really redeemed themselves in the past year and deserve a spot on the nice list. And then there are some other cast members who I think would be getting lumps of coal for Christmas if they weren't extremely rich reality stars. I'm not in touch with Santa so I have no idea what he's thinking, but I am a loyal Real Housewives viewer, so I do have a good idea of who would be considered naughty and nice. This how I think the Real Housewives cast members would stack up if I had the opportunity to ask Santa about everyone's behavior this past year. For any fiercely loyal fans, or even for the Housewives reading this, don't get offended if you end up on the naughty list. After all, it's usually the naughty moments that make the shows more entertaining to watch. How could Meghan not end up on the nice list? Meghan was the only Real Housewives of Orange County cast member who wasn't screaming at the reunion and, for the most part, she ended up on good terms with everyone. Plus, Meghan just became a mommy, so she's radiating nothing but niceness these days. Dorinda famously said, "I made it nice!" during the Real Housewives of New York City Season 8 episode in the Berkshires, so of course she's on the nice list. It was a given. Sure, Dorinda has been called out for meddling in the drama, but it really does seem like her heart is in the right place even if she does get a little mixed up at times. Don't get it twisted, Kenya Moore is actually one of my favorite Housewives. I really think that she brings the entertainment every time she's on screen during Real Housewives of Atlanta. Nevertheless, this woman is the queen of throwing shade and more than one of her (hilarious) digs really cut deep. Plus, Kenya unnecessarily criticized Mama Joyce's wig when she was insulting Shereé Whitfield. I'm not hating though, I think Kenya totally makes the show. Once again, this is a Housewife who really helped make the show entertaining with "naughty" behavior. Jacqueline really went off the rails a lot during the last Real Housewives of New Jersey season. I was floored when Jacqueline yelled at Teresa Giudice and Melissa Gorga in Vermont and I could not stop laughing when she literally ran out of the restaurant during a group lunch in the finale. If it wasn't for Jacqueline, I would have been bored this season. Erika Jayne is definitely on the naughty list, but she likes it that way. Erika's performance alter ego is all about pushing the envelope and cursing up a storm, so it makes sense for her to get a spot on the naughty list. On the other hand, Erika Girardi is very composed, well-spoken, and knows how to resolve conflict without being boring. Erika Girardi was definitely a nice Housewife this year. I feel a little bad writing this because I was definitely Team Kelly Dodd by the end of the last RHOC season, but she did have some naughty moments this year. Kelly had more than one outburst full of curse words and insults that went a little too far in the heat of the moment. Although I grew to love Kelly, I do think that she learned some lessons and will end up on Santa's nice list next year. I am so happy that Luann found love, but I am so done with her talking about it all the time. She really didn't seem to care about anything the other RHONY ladies had to say last season. It was Luann's world and they were all just living in it. Luann needs to show that she cares more about her friends' lives instead of just talking about her wedding 24/7 to end up on the nice list. I couldn't believe it when Melissa Gorga made up with sister-in-law Teresa Giudice after years of feuding, but I'm so happy about it. I love Melissa for letting bygones be bygones and really having Teresa's back during this tough time. Props to her for being so mature. Sure, Ramona offended her fair share of people on RHONY, but she really didn't do anything awful. Plus, Ramona took on more of a peacemaker role within in the group on the most recent season, which is a major improvement for considering she used to be involved in a lot of the controversy. Phaedra has had so much to deal with recently. She is raising her two sons on her own since ex-husband Apollo Nida is in jail, which takes a lot of strength. And I'm just so proud of her for putting the past behind her and starting over by befriending Kenya Moore. I never saw that one coming, but I'm all about it. 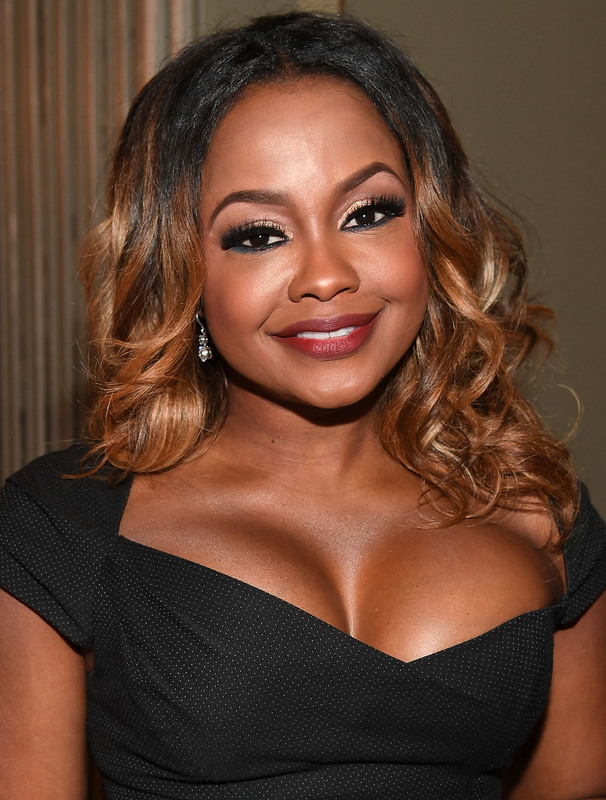 Plus, Phaedra is such a charitable person and is always doing what she can to help out others, so she really deserves some special accolades this year. I know Mama Joyce isn't actual a Housewife, but she's on RHOA all the time and she has on-camera interviews in every episode this year, so I consider her an honorary one. I love Mama Joyce, but she really needs to stop investigating Phaedra's personal life and trying to provoke her. It is unnecessary and not a good look. I totally get that she's only trying to be protective of her daughter, Kandi Burruss, but it just seems way too immature to me. Thankfully, all of the Real Housewives shows and cast members have a healthy balance of nice and naughty. That's why the fans love them so much. I'm sure that all of them will end up getting some love from Santa this Christmas, even if they weren't perfect angels all year long.